New York actress C.J. 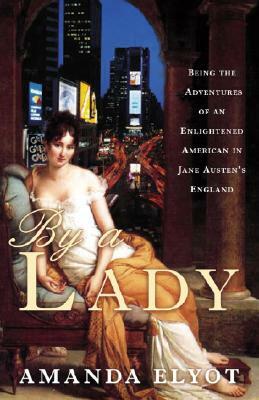 Welles, a die-hard Jane Austen fan, is on the verge of landing her dream role: portraying her idol in a Broadway play. But during her final audition, she is mysteriously transported to Bath, England, in the year 1801. And Georgian England, with its rigid and unforgiving social structure and limited hygienic facilities, is not quite the picturesque costume drama C.J. had always imagined. When a crisis develops, C.J. in a race against time becomes torn between two centuries. An attempt to return to her own era might mean forfeiting her blossoming romance with the irresistible Darlington and her growing friendship with Jane Austen, but it's a risk she must take. And in the midst of this remarkable series of events, C.J. discovers something even more startling a secret from her own past that may explain how she wound up in Bath in the first place. Amanda Elyot is a professional actress and the author of The Memoirs of Helen of Troy. She lives in New York City.